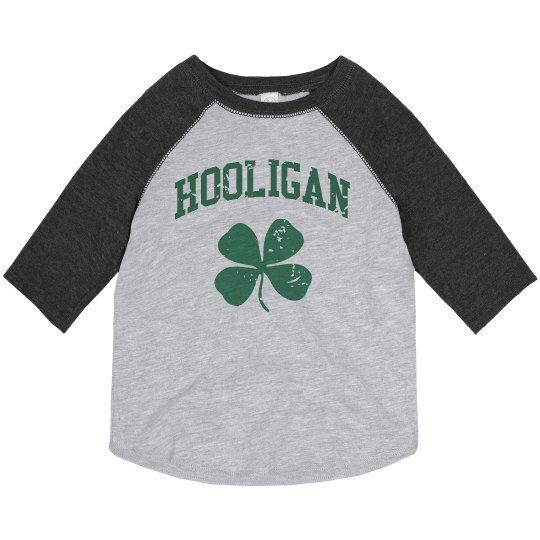 Send your little one to school, the playground or play dates sporting this fashionable favorite raglan. This one is for all you little hooligans out there! St. Patrick's Day is right around the corner, and this fun and festive shamrock tee is the perfect way to show your Irish pride. Make sure you're 100% pinch proof with this fun top. Don't forget to scope out the matching styles for the rest of the family!